You’ll need your photo ID* to pick up your packet as well as a signed and dated copy of the participant waiver. We have copies on site, but to save time, print, and complete the waiver at home by clicking HERE to download. Picking up for a friend? You may pick up your friend's t-shirts and helmets by presenting a copy of their confirmation email at t-shirt pickup. For legal and liability reasons, race bibs and medals may not be picked up by anyone but the participant who's name is on the registration. Warriors will be able to place bagged personal belongings anywhere within the designated tent area themselves. After hitting The Battleground, Warriors will return to the Bag Drop tent to claim their belongings and will be required to verify their matching wristband and tag number with security before exiting. We recommend leaving any items of value at home or in your car during the race. 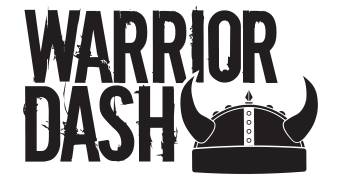 Warrior Dash is not responsible for any lost, stolen or damaged items. What is the event schedule? When should I show up? How can I find my photos post-event?